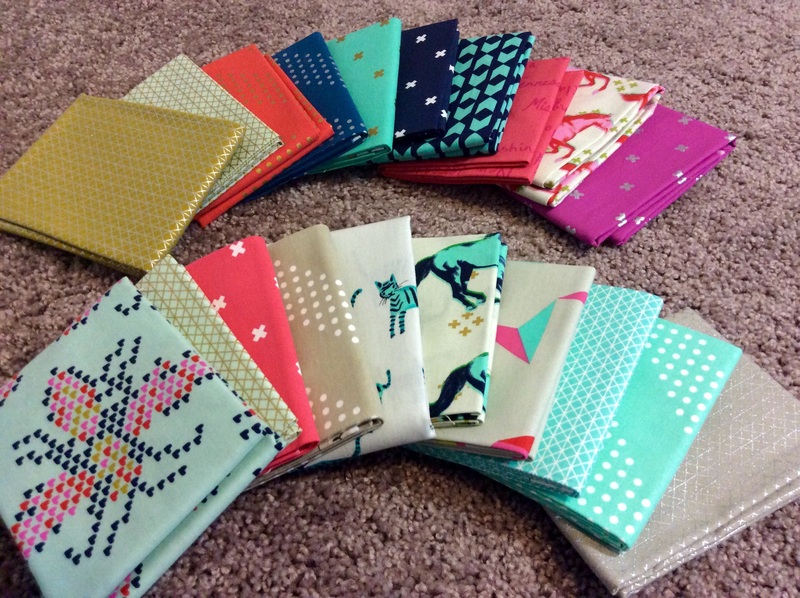 All over Instagram I’ve been seeing a movement #sewmystash2015 – a push to use up one’s current fabric stash instead of buying more fabric again and again. This is probably a good idea as I have been yet again banned from further purchases. 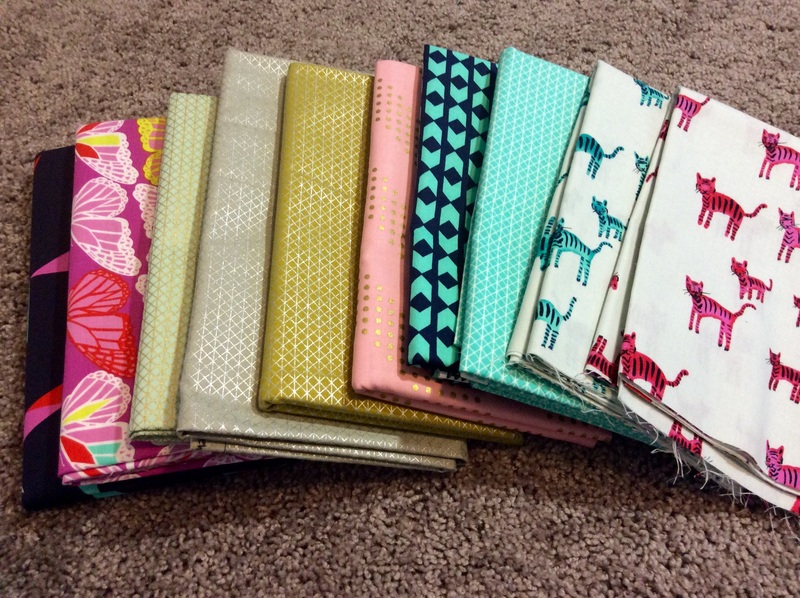 Wanted to take a moment to share some of the gorgeous fabric I’ve been hoarding, er – collecting! Starting off with lots and lots of Cotton + Steel fat quarters. These were accumulated from two sources – a local booth at Quilting Live! last fall, and from a MassDrop special a while back. Four yard cuts of Cotton + Steel canvas (noticing a theme here?) that came from two different Etsy shops. They are slightly pricey at about $15-$17 per yard, but since they are a heavier weight I don’t need as much interfacing when using it to make bags. 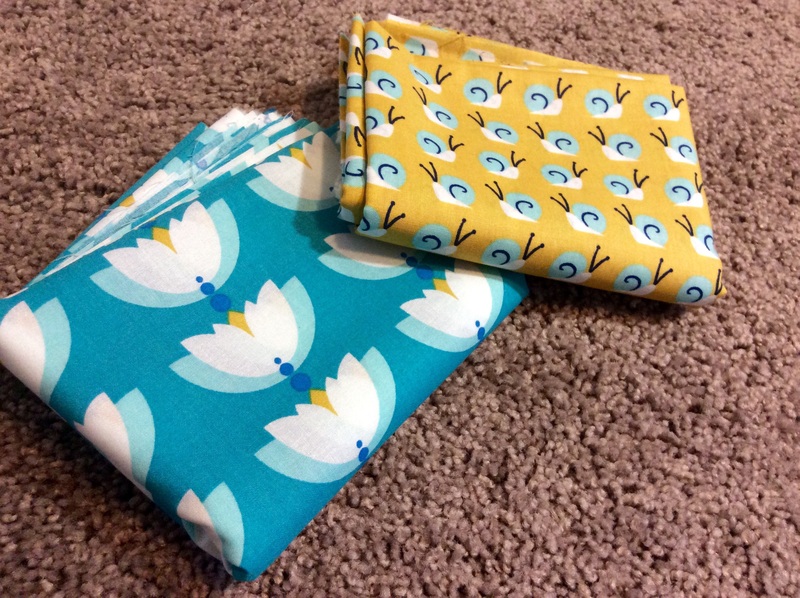 Can’t wait to use these two coordinating Lotus prints from Cloud 9 They are super adorable – those snails especially! Another Massdrop deal – I believe they were $14.99 including shipping for one yard of each. 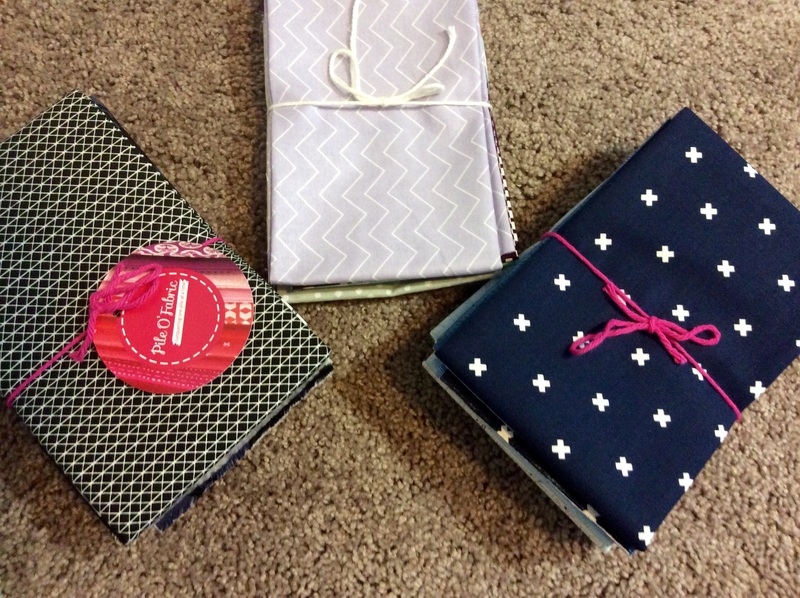 Last but certainly not least, three beautifully curated bundles from Pile O’ Fabric. Alyssa – the shop’s owner – takes prints from various lines that coordinate with each other and groups them. Today I’m participating in Sunday Stash hosted by Molli Sparkles. 3 Responses to "Sunday Stash: Cotton + Steel, Cloud 9, Pile O’ Fabric bundles"
Looks like you’ve had good luck with MassDrop! I have not tried it yet, but it certainly seems tempting. Those snails are pretty darn cute! Kacey, what I like about MassDrop is that there is zero shipping or sales tax so the price advertised is the final price. The snail fabric is AWESOME and right now there’s a decent deal on a Gingher seam ripper and several Aurifil thread sets. I signed up for the mailing list so that I get first crack at stuff, and vote on items I want to see as a drop frequently. Another plus – we have had a heck of a time with getting UPS and FedEx deliveries to our new neighborhood (can’t even order Domino’s pizza – they refused to even try) and MassDrop mostly uses United States Postal Service for delivery and the packaging they send items in is really cute! Thanks for sharing pictures of your stash! I love Cotton + Steel fabrics. 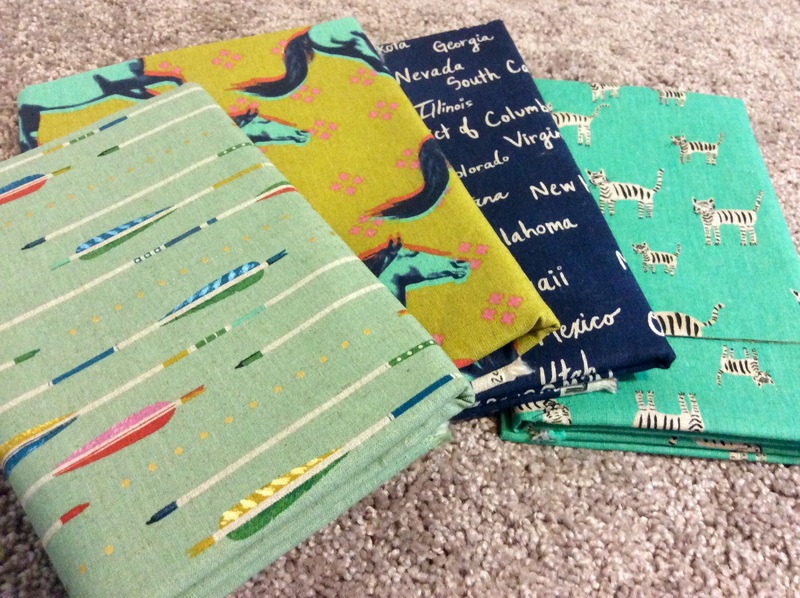 I have a couple fat quarter bundles that I will be using in the quest to #sewmystash2015! I look forward to see future projects!